People have many myths regarding diabetes in their minds. Today I will help you by telling some common myths and truths about diabetes. Diabetes should not be considered a very big health issue. • more deaths are related to diabetes than aids and breast cancer. • it can lead to a stroke or heart disease. • risk of causing deaths in diabetic people is double than in non diabetic. Stress does not causes diabetes. It can lead to hormonal changes but it is not necessary that these changes affects the glucose apsorption from blood. Stress can however affect a diabetic. Excessive intake of sweets and sugar causes diabetes. • diabetes is mainly caused by lifestyle and genetic factors. 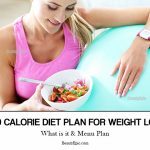 • diet with high calories increases the weight and obesity also increase the risk of diabetes. • if sweets and sugar comesin healthy diet then they not at all causes diabetes. Diabetic using anti-diabetic medicines or insulin are free to eat everything. Good and balanced diet, healthy weight and exercise can never be substituted by medicines. 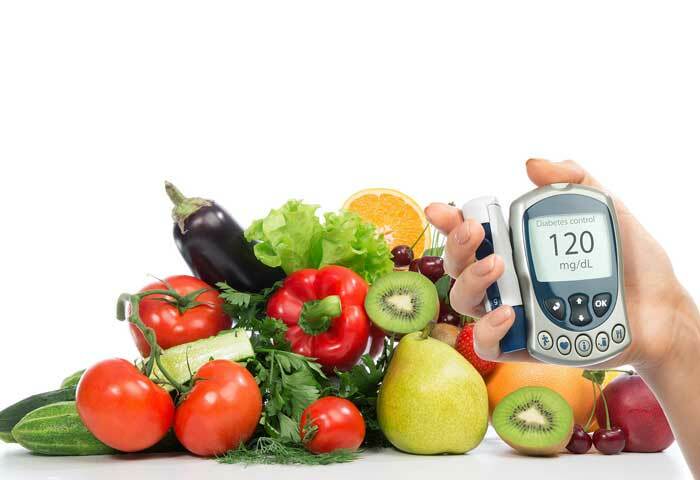 A diabetic should follow a healthy lifestyle. Diabetic can’t participate in sports or physical activities. There are many sportsmen having diabetes like wasim akram, arthur ashe billie jean and many more. There are atheletes who are suffering from diabetes and do not face any kind of problem. Diabetics are encouraged to participate so that they stay healthy and active. It is not at all contagious. It is not like viral diseases. You are safe when you are around a person suffering from diabetes mellitus. It can be caused by lifestyle, heriditary and genetic factors. Diabetes in its later stages causes blindness. There are few symptoms of blurred vision in gestational diabetes. Vitamin a deficiency is caused by diabetes which causes weak eyesight. This problem can be treated by rich vitamin a diet. Keep a good check on body weight, sugar level and blood pressure to improve the vision. Diabetics having a good control on their levels of sugar can drive easily. Take proper care of medication, diet and exercise. Controlled sugar levels doesnot create any hindrances while driving. Diabetics are more prone to cold. Healthy people and diabetics equal risk of getting cold. Any infection or cold can change levels of glucose and increase diabetic complications. Diabetics should only limit carbohydrates. Fats and proteins did not need any management. Limiting carbohydrates is really going to help you in keeping a check on the sugar levels. But you also have to manahe fats and protein intake in the diet. Take all things in moderation. Diabetics should decrease the starch foods. Diabetics should always take healthy and balanced diet. Starch foods like cereals, rice and vegetables containing starch like yams, peas and potatoes are healthy meal. Just keep a check on the amount of starch foods as too much for everything is harmful. Diabetic people should not eat fruits. Fruits of all kinds are always useful for the patients. They also reduce the risk of camcers and heart disease. Diabetics are advised to have fruits three to four times in a day. Fruits contains fibres and carbohydrates, minerals and vitamins. Lifestyle does not affect diabetes. Lifestyle triggers the development of the disease. Lack of physical activities also leads to diabetes. Diabetics should follow a nutritious diet and regular exercises. In gestational diabetes, pregnant ladies should alo do exercises. Diabetic should follow a special diet meant for them. Special diet does not have any such advantage. 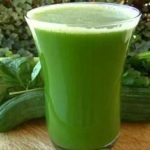 These diets alsoi raise blood pressure and sdugar levels. Healthy diet plan is same for both diabetic and non-diabetic people. In fact, diabetic should eat all varity of foods to grab all nutrients. Artificial sweeteners harms a diabetic patient. Artificial sweeteners have less calories and more sweetness as compared to sugar. So consume them in less quantity. Hereditary diabetes cases are just coincidence. Genetic factors play a major role in developing the diabetes. People hving family history are at a higher risk of diabetes. Some ethnic groups mexican-americans, african-americans and american-indians are at a high risk. Small girls having diabetes will not become mother. This is proved wrong. Many adult women have children with diabetes. You just need to have extremely controlled sugar levels of blood. This is difficult but not impossible. Behaviour of a person is not associated with diabetes. It is felt just because of low level of blood sugar. Diabetes leads to early age death. There are very less people who die in young age. But this can’t be generalised. It now become qa curable disease with the help of insulin shots. Hypoglycemic condition leads to brain damage. Hyoglycemia causes headache and weakness. They seems to be confused. Keep a regular check the levels of blood sugar to avoid such situation. It is a gentle disease. If you can not take care very properly then increased blood levels of sugar will become a serious problem which can not be neglected. All kind of diabetes should be given a good concern. Otherwise it can prove to be fatal. Diabetics need to take anti-diabetic medications for life. A diabetic person can eliminate or reduce the need of medicines by exercising, losing weight and folloeing a good and strict nutritious diet plan. There is lack of awareness in people which leads to stress and fear about the diabetes. Now when we are aware about the myths and related facts so need not to worry and follow a good diet plan and regular exercises. How Good is Okra for Diabetes? Does Turmeric Help with Diabetes? How Does Apple Cider Vinegar Help Diabetes? 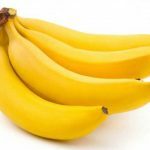 What are the Health Benefits of Banana? 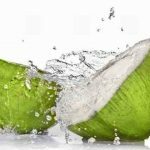 What Are the Benefits of Coconut Water? Diabetes make it difficult for people to believe some of the hard facts such as diabetes is a serious and potentially deadly disease here we can help you some myths and facts about diabetes to get rid of misconceptions.